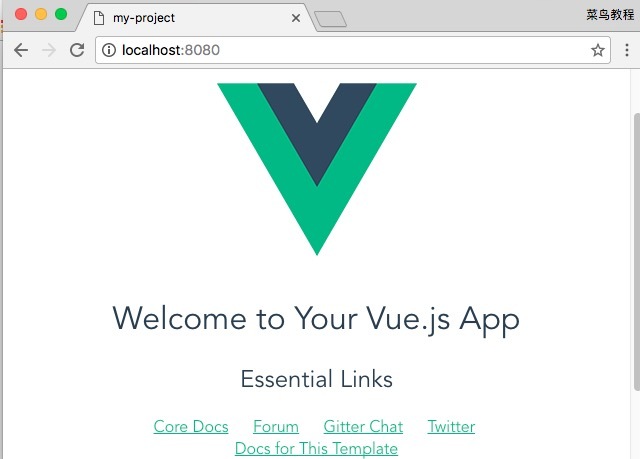 We can download vue.min.js directly from Vue.js' official website and introduce it with the <script> tag. The following two CDNs that are relatively stable abroad are recommended. It has not been found in China. It is recommended to download them locally. unpkg:http://://p.html Com/vue/dist/vue.js will remain the same as the latest version released by npm. Because npm installation is slow, this tutorial uses Taobao's image and its command cnpm, installation and use reference: Use Taobao NPM image. Vue.js provides an official command line tool for quickly building large single page applications. This will install Vue 2.x version of the template< Span class="pun">. Note: Vue.js does not support IE8 and below IE versions. step1: Visit the Tencent Cloud Developer Platform to sign up/login. step2: In the context menu on the right, select: "Node.js"
You can browse the source of the NPM package at cdn.jsdelivr.net/npm/vue Code. Vue is also available at cdnjs gets (the version update of cdnjs may be slightly delayed). step6: Vue.js provides an official command line tool for quickly building large single-page applications. step6: Click the [Access Link] tab on the far right, fill in the port number in the access link panel: 8080 (consistent with the port number in the previous configuration file), click the Create link, and click The generated link accesses the code we just wrote to see the Vue.js effect.